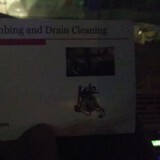 I am a plumbing and drain cleaning business 25 yrs experience. Work with licensed carpenters , foundation replacement experts, tile specialists and general contractors. Bringing together over 65 years of plumbing and hydronic heating experience, Jim Lunt and Leigh Marymor merged to form The Lunt Marymor Company, Inc. Since 1999, we have completed a wide range of design/build projects for Clients throughout the greater Bay Area. Lunt Marymor offers full-service plumbing, hydronic (radiant) heating and fire sprinkler services for new custom homes, remodels and additions. We also work on new construction and tenant improvements for commercial buildings. Design/build services, installation of new equipment and repair or upgrade of existing equipment is all in a day’s work. Clients call on us for everything from fixing that leaky sink to piping an entire building. For additional information or assistance, feel free to contact Araceli Espinoza, Lunt Marymor's Service Manager. 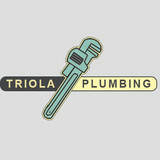 With years in the industry, Triola Plumbing is a leader in Berkeley plumbing services. Regardless of whether the job is big or small, simple or complex, commercial or residential, we'll approach it with the same professionalism and care. Our mix of outstanding customer service and detailed plumbing knowledge is why so many people choose us. ABT Plumbing, Electric, Heat & Air is your home repair solution. Plumbing issue? Problem with your electrical? Need a tune up on your A/C? We are your trusted Nevada and Placer County home repair service provider. Founded in 2001, ABT Plumbing & Drain Service expanded to include multiple locations as well as additional home repair services. We offer a 100% Customer Satisfaction guarantee. Established in 1964 as the go to company for any of your service needs. Our service professional are trained in the latest tools and procedures to handle any problem. We live by the philosophy, The customer is always right. Call us now! Working the Pipes since 1983. An Experience You Can Trust! Founded in 1983, On Shore Construction and Mechanical is locally owned and operated in San Francisco by Mark Linares. We are fully licensed, insured and bonded with great referrals. We specialize in custom residential and commercial new plumbing and heating installations and repairs. We provide complete boiler, plumbing and heating repairs and installations performed to local building, plumbing, and mechanical codes. We Serve your Community, are specialized in Fast Local Service, and are environment-oriented licensed plumbers you can trust. Call us today at 415.259.1133 for quality construction, remodels, renovations and repair services. We design and build both plumbing and HVAC-R heating, ventilation and air conditioning and refrigeration systems for commercial and residential projects. We serve San Francisco and the Greater Bay Area, providing the following services: Kitchen renovations, bathroom remodels, sewers and drains replacement, unclogging toilets, instantaneous (tankless) water heater installations, faucets & sinks repairs, kitchen renovations, tubs & showers installations and repairs, water & gas pipe works, gas fired water boiler replacement, steam boiler maintenance, wall hung boilers new installations, hydronic heating systems. 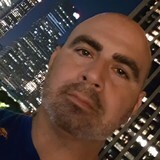 Expert Rooter & Plumbing, Inc. Your Premier Choice! First Class Water Heaters is your local choice for reliable, professional, and affordable plumbing repairs and installations. With over 15 years experience in the industry, you can count on us to handle all of your plumbing needs great and small. From a simple Garbage Disposal repair or replacement, to a complete home repipe, we have the skills and experience necessary to complete your project. TrenchFree Trenchless Plumbing offers expert service and state-of-the-art alternatives to traditional trenching for pipeline replacement and installation. Our specialists can handle residential, commercial and public sector jobs throughout the San Francisco Bay Area. If you would like more information about TrenchFree’s advanced trenchless plumbing services, water main renewal, installation or replacement, or sewer line installation or replacement, directional drilling or septic abatement, please call TrenchFree at 408.726.7926.